In most of rural America, this 1972 Yamaha DT360A would be dismissed as a “barn bike” tucked away in the back of a shed, uncovered and left to choke on a carb full of old fuel. More than likely, it would have been used as a farm bike and eventually dismissed in favor of it’s me-want-shiny distant American cousin. I’m just as guilty of this dismissal as the next guy, particularly in my pre-riding years. Now that I’ve owned several bikes, my eyes have adjusted and I’ve learned to see and appreciate the beauty in the lines of a bike like this. There are a handful of machines that seem to bubble to the top of the classic Japanese bike scene. Honda’s unassuming little 350 is one of those bikes. 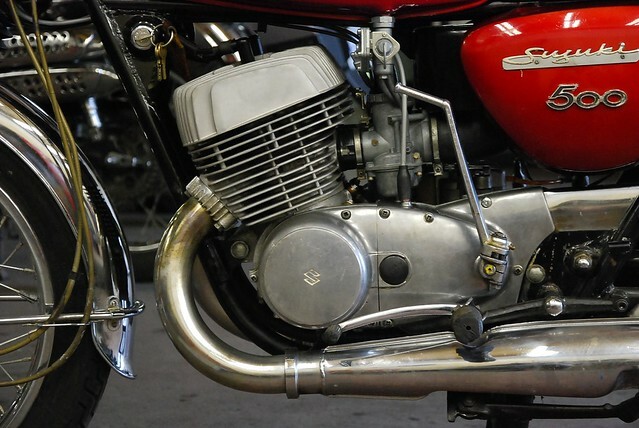 Whether it’s the CB350 with its sporting attitude, or the CL350 with its ray gun side pipes, the Honda 350 is the classic champion of mid-sized parallel twins. Even though it was only sold from 1968 through 1973, the CB350 still managed to sell more than 300,000 units — enough bikes to make them relatively easy to come by still today. Good thing too, as they’re brilliant little motorcycles. This is the first in a new series of posts where we talk about machines that really capture our eye and our heart. They’re bikes to aspire to — bikes we love to ride and love to see roll through our doors here at the shop. Honestly, nothing says vintage quite like a big 2-stroke. In this day and age, the 2-stroke engine is a dead end in the taxonomy tree of motorcycles and scooters. Even Genuine Scooter Company’s neuvo-vintage Stella has gone 4-stroke. So it’s a special treat when something like this 1968 Suzuki T500 comes through our doors because you just don’t see that many of them anymore. It’s too bad, really. Just look at it! The flowing lines of that chrome-accented tank. The pressed steel exhaust pipes. The sun-faded cherry red paint job. The big drum brakes front and rear. 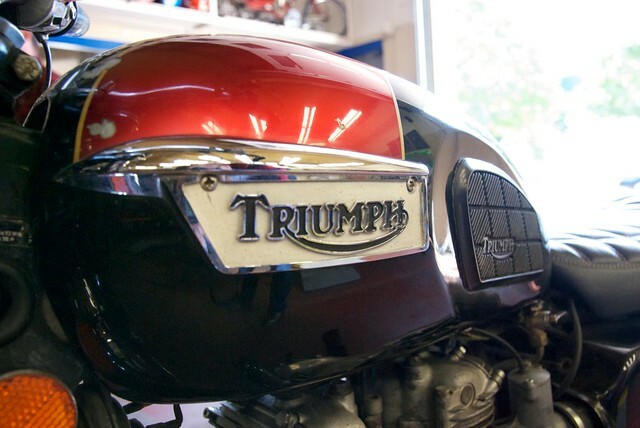 And our favorite, the big square cylinder heads of this 2-stroke twin, replete with cooling fins and character. It’s a joy to look at. Beyond its beauty though, there’s some very clever, downright quaint details. There’s a frame-mounted, OEM air pump should your tires need air. There’s also a twist-controlled steering dampener built right into the steering neck. It’s choose-your-own-adventure steering feel, a definite relic of vintage Japanese iron.